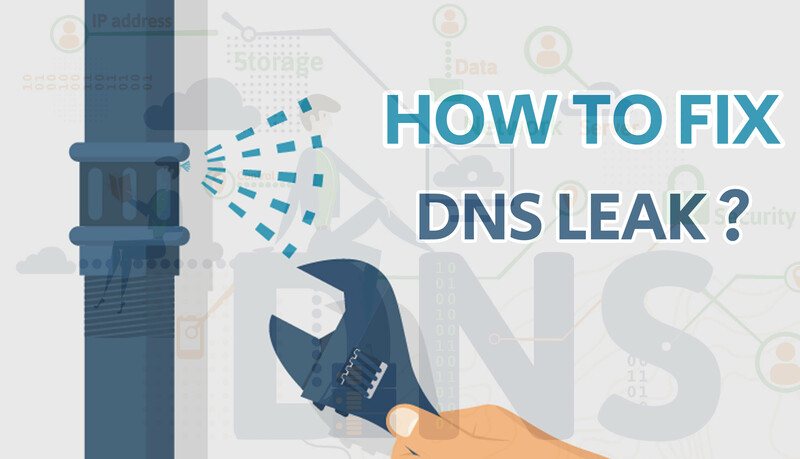 In the previous part, we learned about the Domain Section. 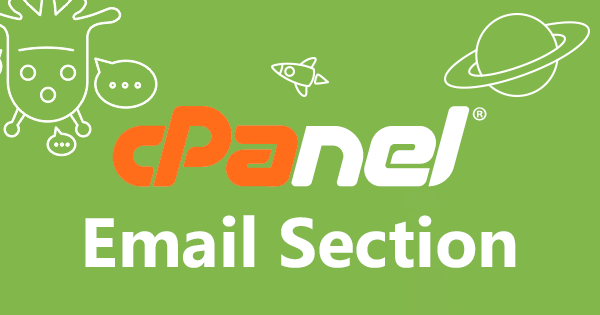 Today we will discuss Email Section. If you have not seen the previous part, you can see it from here. The main functions of the Email Accounts section are to manage the mail account, creating new mail accounts, editing, deleting etc. Every website needs to have its own mail so that anyone can tell the admin quickly via email if there is any problem. Such as support@rafitech.xyz or admin@rafitech.xyz. You can also create separate mail accounts for each department of your website, such as sales@example.com, info@example.com and so on. 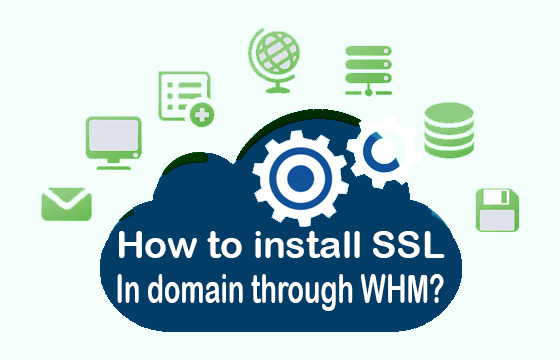 How to create a mail account from your domain? 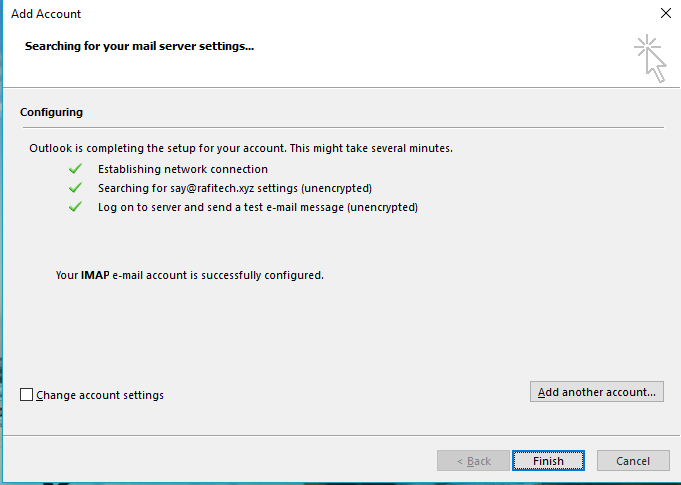 How to configure mail in your PC? 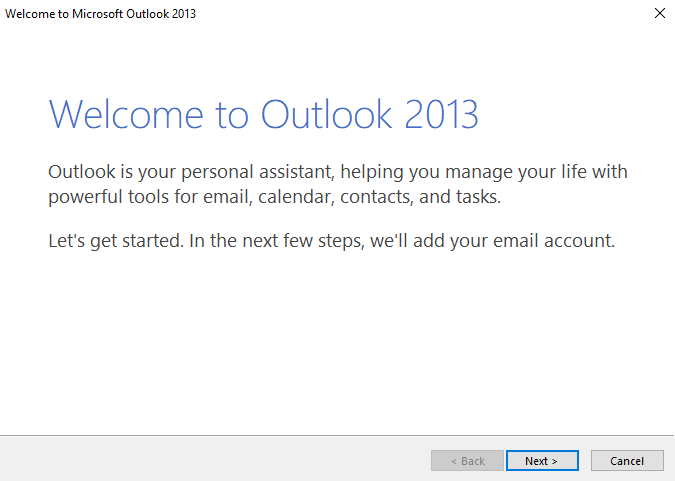 To configure your mail with Microsoft Outlook, you need to find Microsoft Outlook. 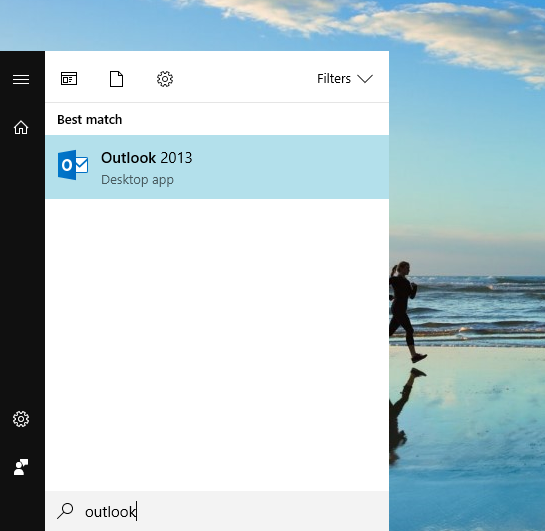 Now open Outlook from your application list. Here, click on Next button. 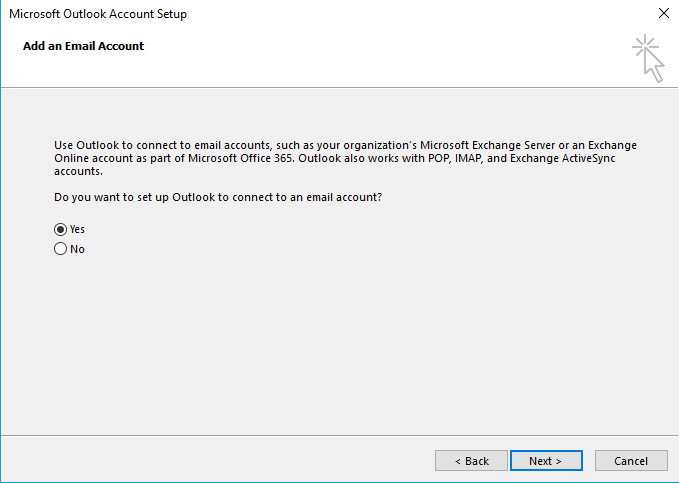 Click Yes button on add email account section and click on Next button. Here, you need to enter some information about your email. If you have all the information right then you see a page like this, click the Finish button from here. After clicking on the Finish button, your Mail Box will open. 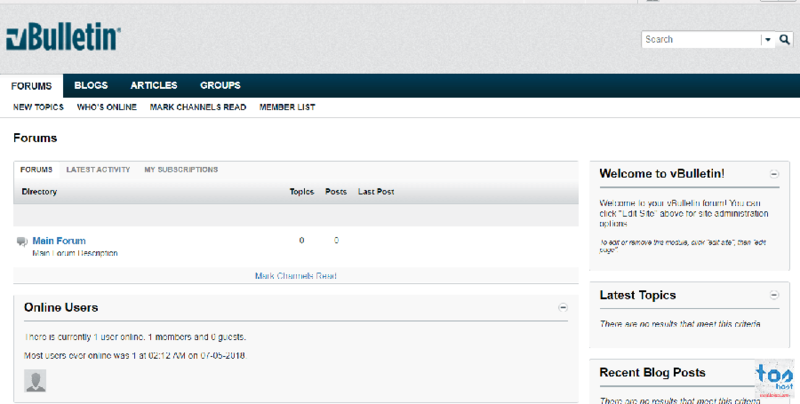 If you want to add new forwarders, type your email id on "Address to Forward" box. Enter the email id on "Forward to Email Address" box where mail will be forwarded. Here, you need to select your domain. And on "to" you need to type your another domain that will receive your forwarded email. 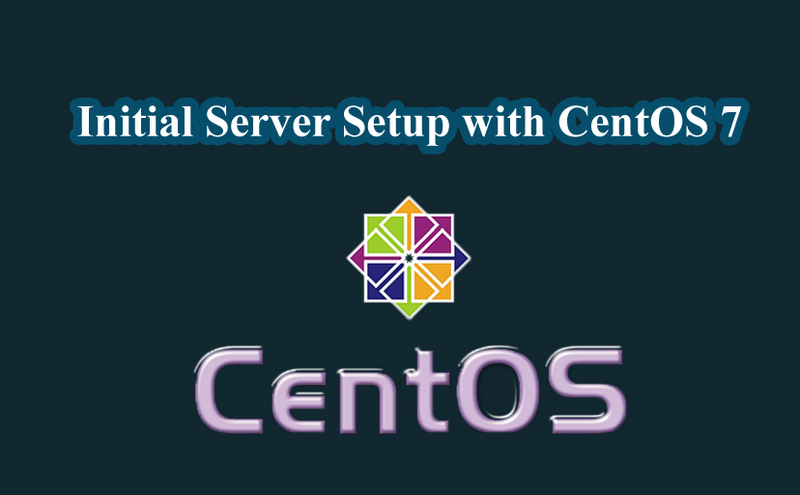 Email Routing is used to routing incoming mail to a domain on a specific server. For Email Routing, select your domain and click on Local Mail Exchanger and click the Change button. Autoresponders are used to providing an automatic reply in each email. To start Auto Responder on your mail, select your domain in Managing and click Add Autoresponders. In the next page, you have to click on the Create/Modify button with some information. From here, if you want you can select a specific email address so that any mail can become directly to this email address. 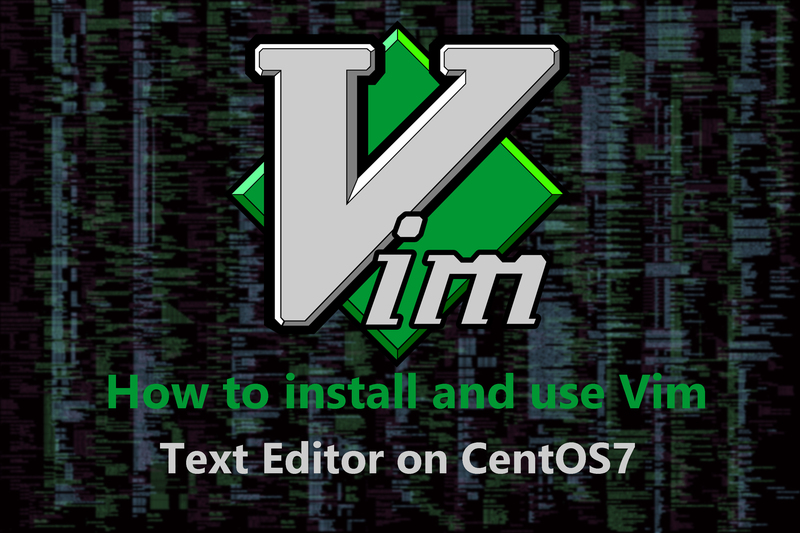 It is basically used to send mail from one mail to many mail addresses at once. And for that, you have to create a mailing list. 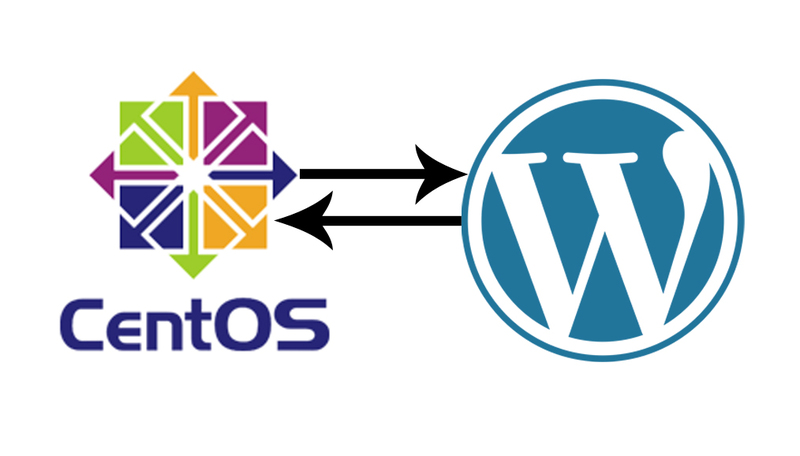 Track Delivery is used to manage mail sent from domains. By clicking on the mark (i) in the above picture, you can find all the related information of Mail Delivery. Global Email Filtering and Email Filtering are the same methods. Here you have to click on Rules and select a Rule. Then select Actions and click on create, a new filter will be created. 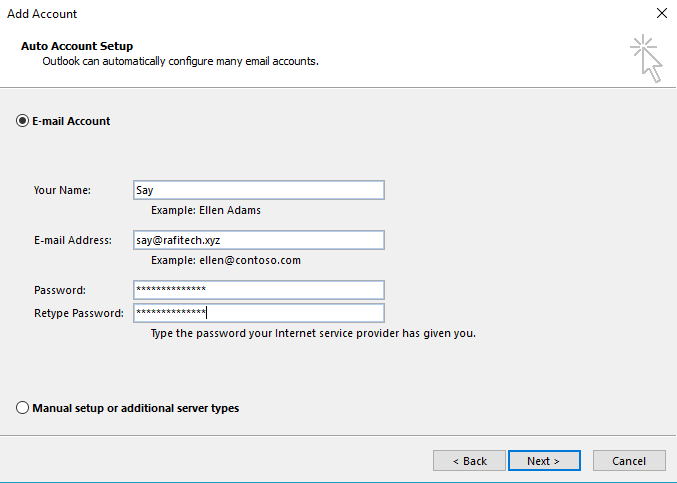 It basically does the work of permissions in the mail accounts that you created. To make your mail server safe, you can use the authentication option. 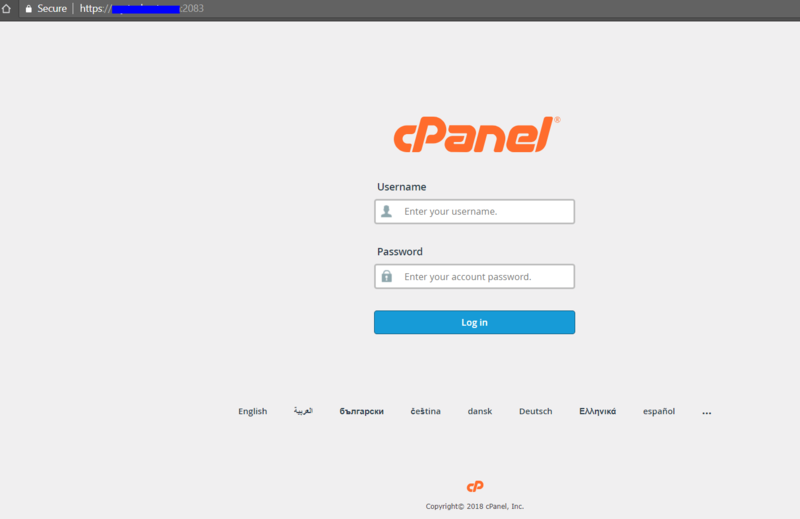 If you want to import some email address from your computer, you can do it very easily from here. 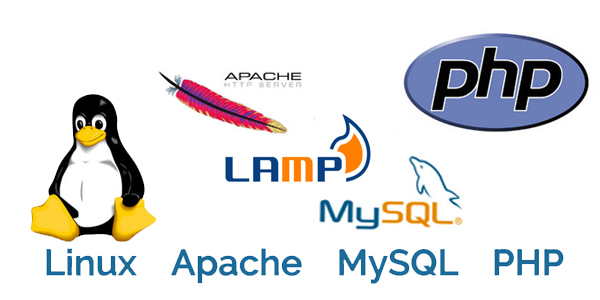 But the file format must be a CSV (.csv) or Excel (.xls) format. It's very important for auto-delete spam mail and blocking mail addresses. Just click on the Auto-Delete Spam option. Then your filtering level's spam emails will be automatically deleted. 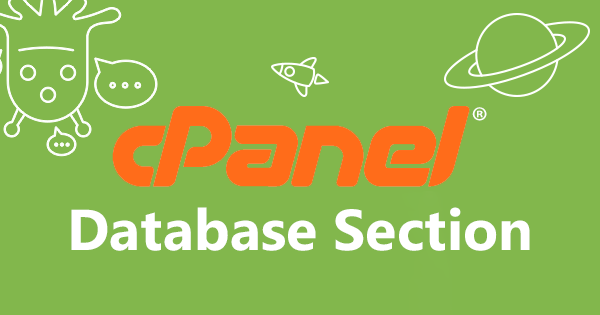 From here, you can generate a public or private encryption key for your mail server. To access Calendars and Contacts on personal devices, your client must be able to configure CalDAV and CardDAV. And this feature is not fully launched yet. Only Apple users have the opportunity to use it. From here, you can see complete details of your mailbox. 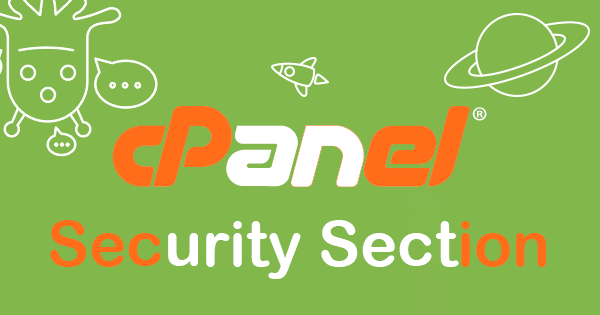 In the next part, we will discuss the Security Section of cPanel. 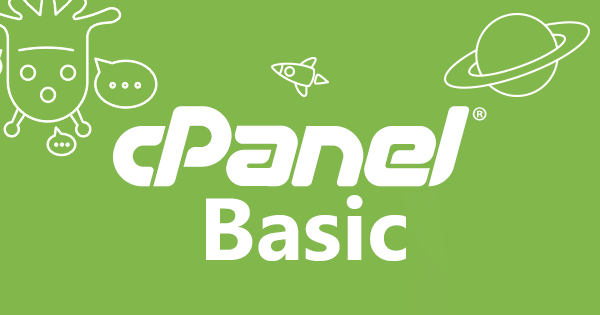 To get the next part of cPanel, please stay with Tos Blog. 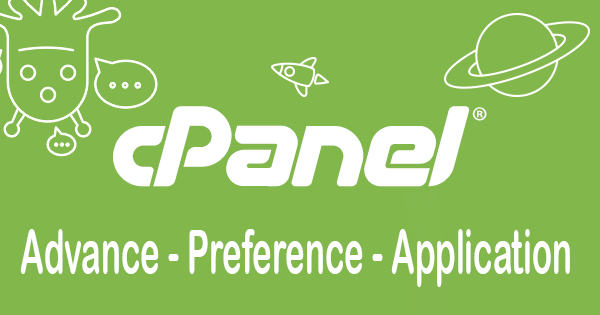 We provide a multi-language, user-friendly control panel (cPanel) with all of our hosting plans. 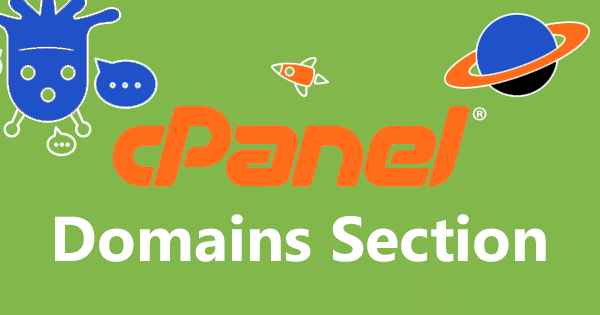 If you want to see our pricing plans, you can visit our hosting panel and if you want to buy a cPanel, click here or you can contact us. To get amazing offers and new tech updates, please stay with Toshost.